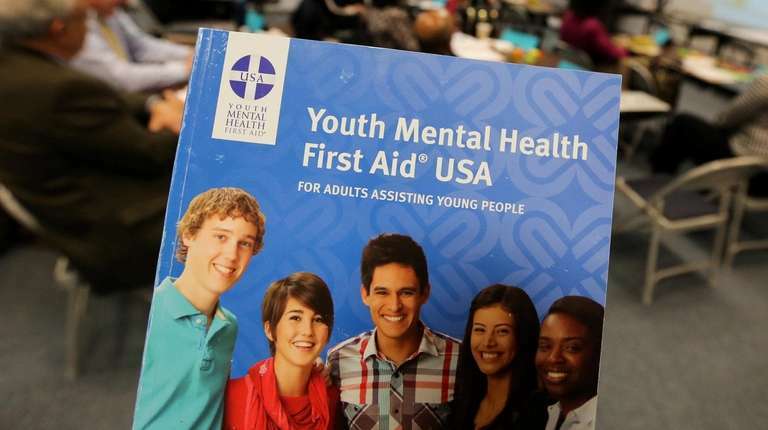 The three-year Mental Health First Aid program will provide trainees with the tools to recognize the signs of mental and emotional distress. Around 5,000 Long Islanders, including those providing treatment to veterans and youths vulnerable to gangs, will obtain free mental health training under a newly awarded federal grant, officials said. The Association for Mental Health and Wellness of Ronkonkoma and CN Guidance & Counseling Services of Hicksville were each awarded a $375,000 grant from the federal Substance Abuse Mental Health Services Administration as part of the Mental Health First Aid program. The three-year program will provide trainees with the tools to recognize the signs of mental and emotional distress and how to safely de-escalate a crisis situation involving someone with a mental illness, said Michael Stoltz, chief executive of Association for Mental Health and Wellness. "Just like CPR provides training to someone in cardiac arrest, this program will provide trainees the skills to identify and help people in different kinds of mental health distress," Stoltz said Monday. The Long Island region suffers from disproportionately high rates of serious mental health conditions, including the highest percentage of emergency room visits for bipolar disorder, schizophrenia, and chronic stress and anxiety, according to the state Office of Mental Health. Those mental health concerns are exacerbated by an opioid crisis that claimed the lives of more than 600 Long Islanders last year, said Jeffrey Friedman, chief executive of CN Guidance & Counseling Services. "It's all about access to treatment and showing people where they can get the help they need," Friedman said Tuesday. The eight-hour workshop will provide trainees with a basic understanding of mental health challenges, including substance abuse, and accessing support and treatment opportunities, officials said. 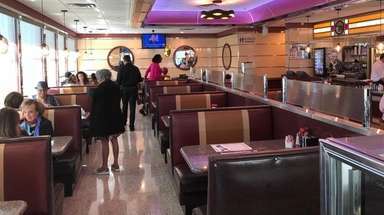 In Nassau, the grant will provide treatment to roughly 3,000 members of the public, including school personnel, emergency service and primary care medical staff, soup kitchen volunteers, veterans and their families, Friedman said. The Suffolk grant will provide training to just over 2,000 individuals, serving three populations with high-risk mental health challenges — veterans, youths in gang-prone communities, and those who have been involved in the criminal justice system. Suffolk's veterans-focused component will train staff and volunteers affiliated with the Northport VA Medical Center, Veterans Health Alliance of Long Island and Suffolk County Veterans Service Agency. Family members of veterans would also be eligible for training. Thomas Ronayne, director of the Veterans Service Agency, said while post-traumatic stress disorder is the most well-known mental affliction attributed to veterans, many others face anxiety, substance abuse and difficulty coping as they adjust to life outside of the armed forces. "We probably see more vets having challenges as they reacclimate to civilian life and to the family unit," Ronayne said. The grant will also provide training for school personnel, faith-based leaders and staff at Suffolk's Office of Minority Health and the Department of Social Services who work with teens at risk of falling in with gangs. The program will target the communities of Central Islip, Brentwood and Wyandanch where the MS-13 street gang has grown roots, said Sandra Hopkins-Ouedraogo, the county's project coordinator. "The goal is to assess if a youth who is having mental health challenges is at risk of joining a gang," said Hopkins-Ouedraogo, who stressed the importance of early intervention. Also obtaining training will be the staff at the Suffolk County Department of Probation and state Division of Parole, both of whom serve individuals with psychiatric disabilities who have done time behind bars. Gregson Pigott, director of the Suffolk County Office of Minority Health, said it's critical to "destigmatize" mental health challenges so individuals are encouraged to seek professional help. The mental health workshops are expected to begin in February at locations across Long Island. "For too long, people suffering from mental health concerns were called weak because they couldn't handle their issues," Pigott said Tuesday. "We need to change that approach."